The UN has set up a new fund, Nigeria Humanitarian Fund, primarily to tackle the crisis-hit Northeast Nigeria caused by the destructive activities of the Boko Haram terrorists. The UN said the fund has allocated more than $10.5m to help thousands of women, children and men in need of life-saving humanitarian assistance. “The fund plays a vital role in ensuring an effective, coordinated, prioritized and principled humanitarian response, providing funding to international and national NGOs, UN agencies, funds and programs, and the Red Cross/Red Crescent societies, with a focus on frontline responders. 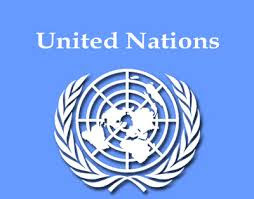 The UN said the 10.5 million dollars allocation by the new fund – NHF – would prioritize life-saving assistance to the most vulnerable, and also expand the humanitarian assistance provided by the UN and partners to the hard-to-reach and newly accessible areas. “The humanitarian crisis in Nigeria’s northeast and the Lake Chad region is one of the most severe in the world today. “These funds will go towards addressing some of the key priority areas in the humanitarian response that have not yet been financially supported, including the provision of safe drinking water, emergency shelter and health services to those in need”. Specifically, the 10.5 million dollars will fund about 15 different projects which were selected by the various sectors of the humanitarian response and approved by the NHF Advisory Board. The projects target and address the needs of the most vulnerable people in locations where access is sporadic and where flooding, disease outbreaks and new displacements continue to take place. Such places are Monguno, Mafa, Pulka and Rann in Borno and Michika in Adamawa.